When corrupt police lieutenant Nyman is murdered in his hospital bed, Detective Lindstedt (Martin Beck) and his colleagues investigate the mystery. Soon they discover that a bitter ex-cop (Ingvar Hirdwall) whose diabetic wife died under Nyman’s custody may be taking revenge. In a 1962 treatise entitled Vision in Swedish Film, director Bo Widerberg notoriously spoke out against Ingmar Bergman’s dominance in Sweden’s cinematic landscape, noting the need for Swedish films which dealt with “earthier” concerns than those traditionally addressed by Bergman. This mystery thriller by Widerberg is, ironically, a bit of both — a decidedly action-filled film, but one grounded in a more serious exploration of corruption. For the most part, it’s an enjoyable, satisfying movie, one which takes us through Stockholm’s streets, and shows us — in its final climactic scenes — the city’s gorgeous rooftops. 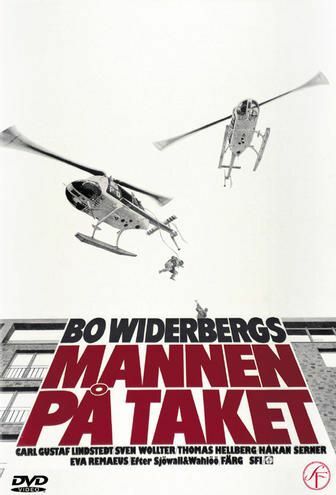 Unfortunately, however, the screenplay is marred by a serious lack of focus: while Detective Lindstedt (Beck) is squarely posited as the central protagonist, by the end of the film we’re inexplicably following a different set of (younger) policemen altogether. At this point, although the action is undeniably exciting, we’re no longer invested in the ultimate outcome — especially given that the mystery of the killer was solved much earlier. Yes, simply for its historical importance as a popular Swedish film of the ’70s.